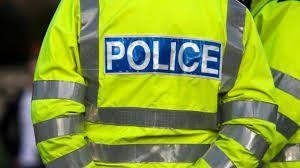 Police are urging residents to be vigilant following a series of burglaries in the Broadland and north Norwich areas. Ten incidents have been reported in Acle, Drayton, Norwich, Salhouse and Horstead since December 18 and in the majority of cases suspect(s) have forced entry by smashing windows or doors. Local policing commander Chief Inspector Wes Hornigold said officers were investigating whether the incidents were linked and that some of the properties targeted had been holiday homes. A watch and jewellery were stolen from a home in Old Market Close, Acle, on December 18 while overnight on Friday December 21 suspect(s) targeted a property in Orchard Bank, Drayton, stealing van keys before taking the vehicle. An untidy search was carried out at a property in Blenheim Crescent, Norwich, targeted on Christmas Day, although it appears nothing was stolen. Between December 21 and 27 a property in Barn Piece Close, Salhouse, was targeted by burglars who stole jewellery and watches while jewellery and a mobile phone were taken from a house in Woodside Road, Norwich, on December 30. Attempted burglaries have also been reported in Ling Way, Coltishall, and The Street, Brundall, between December 23 and 28. Officers are urging homeowners to be vigilant and report any suspicious activity to police. 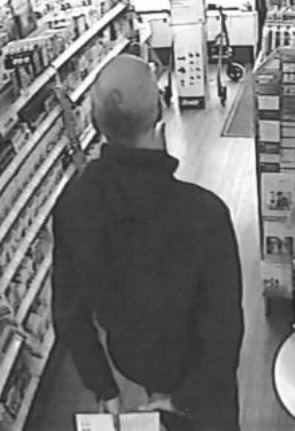 Anyone with information should contact Norfolk Police on 101 or call Crimestoppers anonymously 0800 555 111. This entry was posted in Drayton & Taverham, Home Page and tagged burglary spree, Drayton, Norfolk Police on January 4, 2019 by Gay Webster. Police are appealing for help to identify a man following a number of thefts in Drayton. The offences happened on Saturday January 27 when a man visited Lloyds Pharmacy, in School Road, on four occasions and stole a number of boxes of medication. 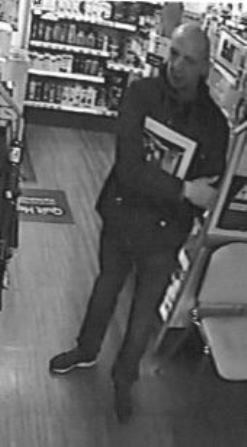 Anyone who recognises him, or anyone with information, should contact PC Pauline Gray at Aylsham Police Station on 101. This entry was posted in Drayton & Taverham, Home Page and tagged Drayton, Lloyds Pharmacy, Norfolk Police on February 16, 2018 by Gay Webster. A man in his 40s, from Hertfordshire, has been arrested in connection with a collision this morning (Friday February 9) which left a cyclist with serious injuries. The arrested man is due to be questioned by officers later today. Police are still appealing for witnesses to the smash, on the A47 at Thickthorn. Officers were called at 5.30am to reports of a male lying in the road. Further enquiries established he had been cycling along the eastbound carriageway between the Thickthorn and A140 junctions when he was in collision with a lorry. The lorry left the scene following the incident, travelling in the direction of Great Yarmouth. The cyclist was taken to the Norfolk and Norwich University Hospital with serious injuries. The road was closed while officers dealt with the incident but has since reopened. 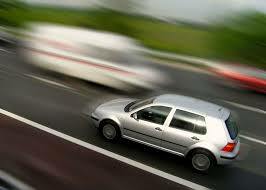 Anyone with information or dashcam footage should contact PC Andrew Lincoln at Wymondham Roads Policing on 101. This entry was posted in Eaton & Cringleford, Home Page and tagged A47, cyclist injured, DAF lorry, Norfolk Police, Thickthorn on February 9, 2018 by Gay Webster. Car smashes in Sheringham and Coltishall in icy conditions this morning (Friday January 26) were among dozens of collisions after Norfolk County Council failed to grit roads. 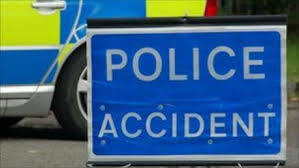 Two people were taken to hospital after the two crashes which were among 37 reported to Norfolk police this morning. The council says its forecasting service did not predict there would be a freeze but says the gritters will be out tonight across Norfolk, from 7pm, with more sub-zero temperatures predicted. But in fact temperatures took a steep plunge overnight. Among smashes was a three-vehicle accident at 7.15am on the A149 Weybourne Road, Sheringham, involving a Ford Transit van, and Vauxhall Astra and Toyota IQ cars which blocked the road until just before 11am. A woman was treated for back pain by an East of England Ambulance Service Trust crew and taken to the Norfolk and Norwich University Hospital for further treatment. Earlier, just before 7am, emergency services were called to the B1354 Wroxham Road, Coltishall, where a red Renault Megane had left the road. A man in his 20s was taken to the Norfolk and Norwich by ambulance suffering hip and head pain. His condition is not believed to be life-threatening. A county council spokesman said: “We buy a weather forecast service from a specialist provider which we use to inform our decision on whether to grit, and also where and when. Earlier this afternoon the council tweeted: “Freezing temperatures forecast across the board tonight so the gritters will be going out on all county gritting routes – that’s more than a third of the county’s roads – at 7pm”. This entry was posted in Sheringham, Wroxham and tagged Coltishall, East of England Ambulance Service Trust, Norfolk and Norwich University Hospital, Norfolk County Council, Norfolk Police, Sheringham on January 26, 2018 by Gay Webster.